The physical environment has been created with natural elements and influences in mind. The restoration of the 233 silky oak windows have allow for an abundance of light to be reflected through the environment and for the natural and healthy ventilation of the space. All our Montessori materials and furniture are of the highest quality, safety and are made from non-toxic materials. 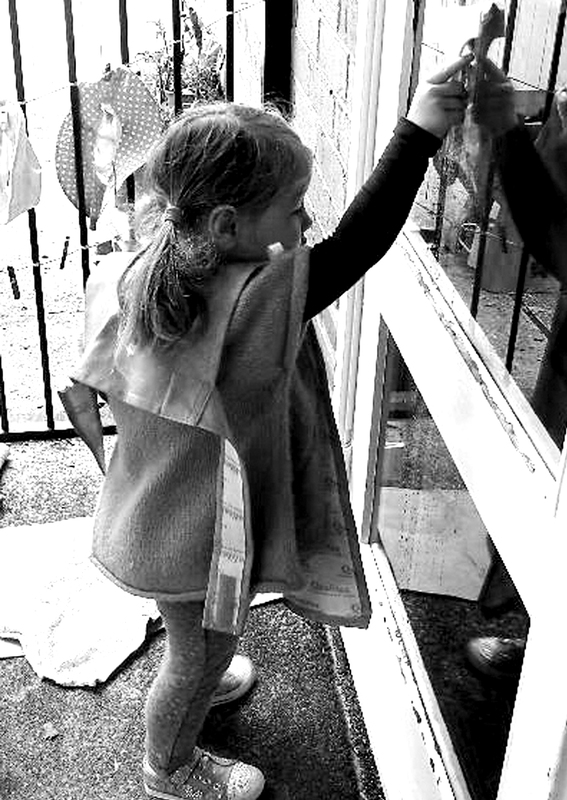 Other materials that lend themselves to the support of our children’s independence have been made sourced and made by qualified local trades. We have allowed for the utilisation of modern appliances that weren’t in existence during Maria Montessori’s time. We believe that by providing home like environments we are better equipped and able to support children’s growing curiosity and abilities. We are dedicated to promoting, following and role-modelling a sense of respect for the natural environment and resources and therefore endeavour to incorporate sustainable and sensitive strategies into our practice wherever possible. We aim to reduce the amount of paper output or waste that could potentially be created by our programming, planning and record-keeping for children. We also utilize products and materials that are environmentally sustainable and look to implement practices that reinforce and decrease our impact on the environment. Maintaining digital records rather than physical (paper) records. The Children’s House emphasize the use of green biodegradable products which will have a minimal impact on the environment. To minimise the impact of disposable nappies on the wider environment the Children’s House has adopted the use of cloth nappies and inserts. We endeavours to source and purchase products that are appropriate to the support of a sustainable environment, this includes natural materials where possible and products that minimise their impact on the environment.